Metro Transit’s approach to preventative maintenance has resulted in significantly reduced capital expenses. In the St. Louis, Missouri metropolitan region, Metro Transit has turned what may sound impossible into possible by logging one million miles on a bus — on the original engine without a major overhaul or a major breakdown. This is the second bus maintained by Metro Transit’s industry-leading maintenance team to record more than a million miles on the odometer. This rare occurrence in the public transit industry means this second Metro Transit vehicle has logged the equivalent of 40 trips around the world over 17 years, on the original engine and without a mid-life overhaul or significant mechanical issue. The second Million-Mile Bus, which Metro Transit purchased and put into service in 2001, is a Gillig Phantom with a Cummins M11 engine. 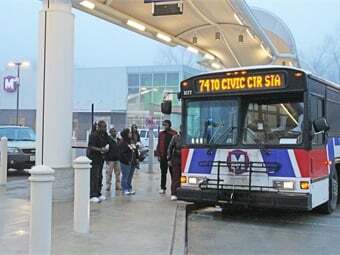 Metro Transit operated the bus in regular service throughout the bi-state region for eight years, recording 439,577 miles on it before it was purchased by one of Metro’s key transit partners, the St. Clair County Transit District. Since then, Metro Transit has operated the bus for the St. Clair County Transit District in St. Clair County in Illinois, where it logged more than 6,300 miles a month and approximately 75,940 a year. Metro Transit has been able to extend the lifespan of buses by 25% and decrease the rate of breakdowns by 85%, resulting in service reliability for the customer and substantial cost savings for the taxpayer. “In 2000, the lifespan of our buses was around 12 years or 500,000 miles. Fast forward to 2019, and we now average 15 years and more than 800,000 miles, which far surpasses industry standards,” said Jessica Mefford-Miller, executive director for Metro Transit. The remarkable results are the result of Metro Transit’s innovative maintenance program, which serves as a model for other transit systems across the U.S. and is internationally recognized, having garnered interest from transit companies in countries throughout the globe. The ability to maximize the lifecycle of MetroBus vehicles and save millions of dollars in the process led to recognition from the Federal Transit Administration as a model for transit asset management. Specifically highlighted in the July 26, 2016, edition of the Federal Register was a case study of Metro Transit’s industry-leading bus maintenance program. The case study focused on how Metro Transit has been able to extend the lifespan of buses by 25% and decrease the rate of breakdowns by 85%, resulting in service reliability for the customer and substantial cost savings for the taxpayer. Metro Transit’s approach to preventative maintenance has resulted in significantly reduced capital expenses. Extending the operational lifespan of its buses has allowed Metro Transit to essentially purchase one bus to meet the same demands that other transit systems would need two or three buses to satisfy. These efficiencies help to ensure that taxpayer funds supporting public transit continue to be wisely invested, while continuing to provide reliable, on-time service to transit riders who depend on Metro Transit every day. Metro Transit began an internal transformation to completely redesign the fleet maintenance program back in 2001, changing the focus from reactive to proactive preventative or predictive maintenance. That shift in focus has enabled Metro Transit to lead the transit industry in several performance, reliability and maintenance areas. The latest million-mile bus will now be moved to special service to transport baseball fans to Busch Stadium in downtown St. Louis.